Shorne Church of England Primary School enjoys close links with St.Peter and St.Paul’s Church, Shorne. We hold a range of services at the church for harvest, Christmas, Easter and at the end of the school year for our Leavers, together with family services for each class. For more information see School Church Services (left menu box). Parents are welcome to attend these services. There are also other opportunites for individual classes to visit the church as part of our RE curriculum. 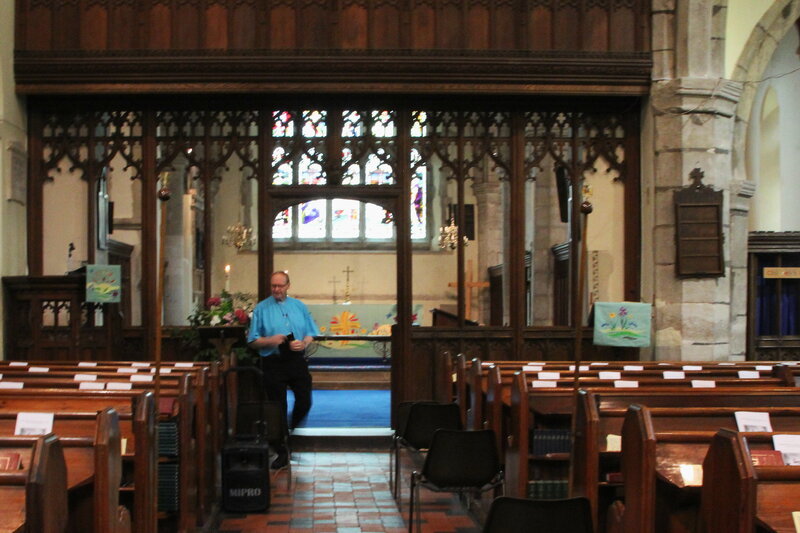 For more information about St Peter and St Paul’s Church, please visit their website. In January 2017 Revd Ted Hurst became the new vicar. He was ‘instituted’ by the Right Revd. James Langstaff, Bishop of Rochester, on January 5th. We were very pleased to welcome him onto our Governing Body and look forward to seeing him in school every Thursday for our Choral Worship assembly. Ted Hurst has been married to Sylvie for 39 years, They have three grown up sons, Colin 38, Andrew 36 and Karl 30. Ted has been actively involved in ministry for about 30 years. He has worked for different churches as Children’s, Youth and Families worker and also for about 12 years as the Children’s Officer for the Diocese of Canterbury. He has also worked as chaplain in hospitals and the prison service.Ted was Ordained in 2011 and served his curacy in the Parish of South Gillingham before moving to Shorne.